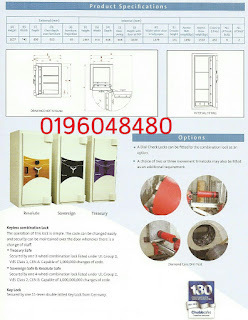 Door - The door has an averall thickness of 212mm with an effective protective thickness of 100mm. 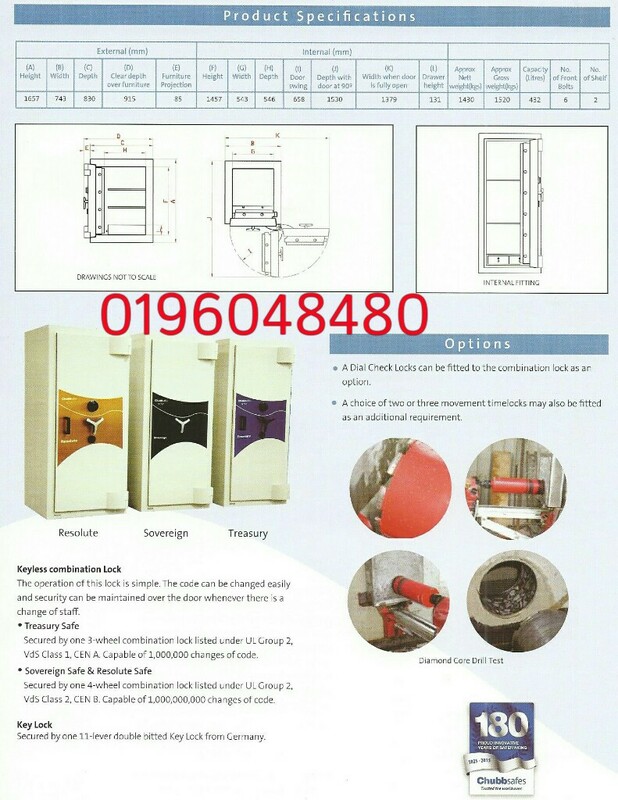 Like the body, the door is filled with the multi-layered Core Drill Resistant material. For additional fire protection, a steel pan filled with fire resistant material is secured to the back of the door. The door is secured by 3-way moving bolts with deadbolts fixed to the back edge. All bolts measure 32mm in diameter. Locking - Fitted with a 3 or 4-wheel Keyless Combination Lock and a 11-lever Key Lock with non-detachable key bit as standard. Both locks operate independently of each other. 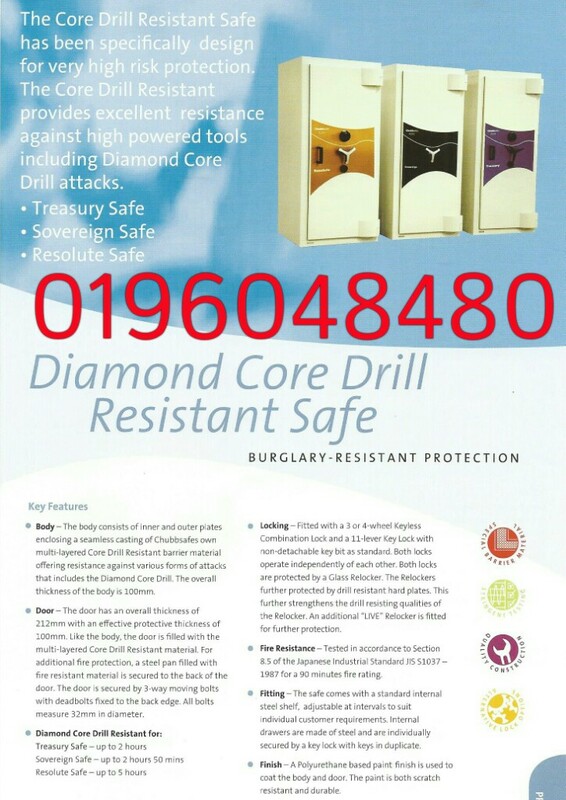 Both locks are protected by drill resistant hard plates. 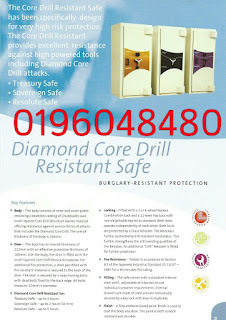 This further strengthens the drill resisting qualities of the Relocker. An additional "LIVE" Relocker is fitted for further protection. Fire Resistance - Tested in accordance to Section 8.5 of the Japanese Industrial Standrad JIS S1037-1987 for a 90 minutes fire rating. Fitting - The safe comes with a standard internal steel shelf, adjustable at intervals to suit individual customer requirements. Internal drawers are made of steel and are individually secured by a key lock with keys in duplicate. Finish - A Polyurethance based paint finish is used to coat the body and door. The paint is both scratch resistant and durable. The Chubb Sovereign range of safes have been designed to meet the stringent requirements of European Safe Testing as outlined in EN1143-1, tested and certified by ECB-S, Vds of Germany, LPBD of UK and CNPP of France. Manufacturing is under the control of ISO 9002 1994 using the latest technology and production techniques. The Chubb Sovereign Grade 5 is suitable for commercial and domestic risks and has an overnight cash cover of £100,000. Body and DoorConstruction embodies high grade approved barrier materials providing resistance in excess of the test criteria. 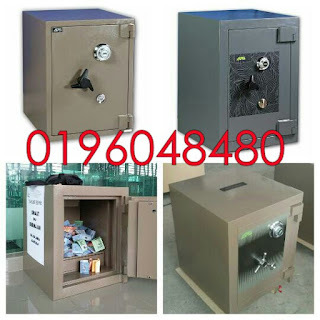 The safe as supplied is standard base fix.BoltworkThe boltwork arrangement is three-way moving with fixed rear dog bolts.LockingThe Chubb Sovereign Grade 5 is offered as dual locking with two double-bitted keylocks, key locks supplied with two keys, live relocking is fitted as standard.OptionsOptional fittings include removable shelves (height adjustable as required), full-width lockable drawer units, 300mm high cupboard or 300mm high coffer. Keyless combination lock and digital l locking is available as an optional extra. Capsule Deposit, Letter Deposit, Drawer Trap or Rotary Trap are also available.FinishAll safes are finished in Chubb off white textured finish.